For over ten years, we have been defending the rights of our minorities by deflecting all kinds of bashing, putting their grievances in prospective, and at times sharing possible solutions to their predicament. We were doing it, even when our Muslim brothers were labeling us based on their taste left and right for over ten years. Yeah, all was and is just to show them our heavy heart and hard sweet on the end of the stick. We had pain to hear that all the years. We were asked tolerance. We did. But tolerance was only when it fits their bill and wasn’t reciprocated to this date. Never did. Knowing that I am not from the souls who knew neither victory nor defeat, I learn something from the speech “Citizen in a Republic” from Sorbonne, Paris, on April 23, 1910. From the speech I took into heart the following words: “……., the great devotions, who spends himself for a worthy cause, who at best knows, in the end, the triumph of high achievement, and who at worst, if he fails, at least he fails while daring greatly……..” I took the issue of diversity “up front” to find solution, even in the face of all kinds of odds from both sides. Unfortunately these days, and it is my observation, I saw lack of understanding and sympathy to the daily victimization of the highlanders from our Muslim brothers. It is quit astonishing. I just realized in our debates on “Said Saber’s” article of February 22, 2012, posted at this website. I hate to write about this sensitive subject, but I have to do it, to defend the victims of my people, not only from the regime, but also from the bashing that comes from the other side. I have to do it, the same as I did to defend the other side to bring justice and some understanding. How many times did we adore, celebrate, and tried to emulate our icons (Ibrahim Sultan, Abdel Kadir Kebire, Idris Awate) from their side, who by the way understood the need of their compatriots from the other side to unite their people. 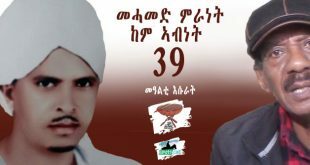 Who forgets the memorable of sharing their dishes as a symbol of unity by our two giants wolwol and Sultan, the recognition of indispensability of the highlanders in the success of the armed struggle by Idris Awate, the patriotism of Abdel Kadir Kebire who was the first martyr in the political battle of his time for independent Eritrea, the lion of Mai Araba (Ras Tessema) who defied the emperor and didn’t even vote for federation. The giants didn’t bash their compatriots but extend their hands to bridge their people. It is irony: every thing is eclipsed when it comes to us. What happens with the generation that follows them? Where is the tolerance and magnanimity we have learned from them? There is no excuse to bash your compatriots and lump with the tyrant who doesn’t have any mercy even for his confidants who became instruments of his state machine. Who will deny that the mistrust did consume our energy and fomented divisions along religious lines? Hey, rectifying our reality is one tall order to avoid our stagnation and Hobbesian war (the war of all against all). While the totalitarian regime in Asmara is oppressing indiscriminately (economically, politically, socially) to all sections of our society, our brothers still “dare to tell us” that we are the beneficiary of the regime (the Tigrigna-regime they love to call it). In their own eyes they are the only victims of the regime. What a sad story it is! The fact is, the regime is a totalitarian regime and has subordinates from all sections of our society. The culprits are there for history whether they are dead or alive even from your own. Whatever behind these sadness it is, even after all these unbearable predicament, seeing the tragedy in their own eyes, dying in the high sea, dying in the hot desert of Libya and Sinai, subjecting to the profit of human traffickers, losing their vital organs (for human spare parts), and leaving the country in droves to be refugees in our neighbor countries; but still in their own heart they are not victims of the regime but beneficiaries. What else can change their hearts and see the problem as their own problem? Really I don’t have any answer. It makes it worse when I hear from them to tell me that it is an act of our own (the highlanders). These among others open the door to suspicion? If it doesn’t, then what is it? Now it makes me think in retrospective even to believe about the illusive Ali Salim, that he wasn’t one person per se, rather a group effort to reflect their perceptions and feeling about the reality of Eritrea today under that pen name. Don’t get me wrong; when articles are written under pen names, it leads you to all kind of suspicion, especially when they talk about our sociopolitical ills. The suspicion that rift over our debates stems in part of lack of transparency. It becomes as source of norms of our conduct presenting all kinds of obstacles and constraints to tackle our common problem. It is sad we can’t be united even to the cause of humanity. We need each other. We can’t live one without the other. That is the reality. But we are on two paths diverged into the woods to attain the same goal. Why can’t we have the same one path to clean the woods and reach the destination? It cuts the time and energy by half that each diverged path would take us. If the inertia for change persisted we will still be there tomorrow despite our dreams may not be. That is the tendency to resist changes in our state of motion as physics described it. I am not talking beyond sober probability. There is an objective reality out there if we can see them with the same prism. As Abraham Lincoln once has said “calling a tail a leg doesn’t make it a leg,” we can’t view our reality through our beliefs, attitudes, and values, but rather through empirical truth learned by observations in their actual status and relations, all in the domain of science. I don’t want to delve into abstract science, but just to give hint that one taste for something doesn’t ultimately give the wholesome definition of anything other than being one property from the many. But let me go back to the co-dependency of the two divides and make a kind of plea to resolve our differences. 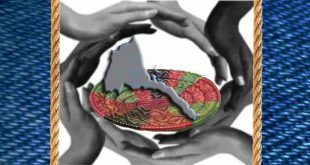 About two years ago on Feb 10, 2010 a document entitled the “Eritrean Covenant” was published at awate.com. The goal of the authors as indicated in their introduction was to revive the Eritrean covenant. I don’t think the message of the document will resonate without interlocutors. Two years later now, we don’t know the authors of the document. They didn’t come out from their comfort zone to talk with their counterparts. For sure the document will not be taken as a real document if the owners of the document are not known to their counterparts and the public at large. Remember their counterparts may also come with their own prescription. If their intention was, take it as is or leave it, then they are not serious on the issue they have raised. Here is my challenge to the authors: Come out from the virtual world and discover the real world to discuss your issue in a round table as it matters to all of us. As the sun sometimes teased us, playing hide and seek behind the clouds, we can’t find you for two years from your hiding. Come to the open and help us to resolve our problem and stop the mistrust that is taking us into unfamiliar path. The Scripture says I spoke because I believe. President Kennedy recognizing the importance of those words, announced his intention and he said “we are going to the moon by the end of the decade.” When he set his goal, the technology and science to do it wasn’t there. His government assembled a team of talented people; nine years later it happened. That is leadership. The opposition camps need leaders who set goals and fight to make it happen. The leaders should be problem solvers determined to achieve their goals without flip flapping on making decisions. Leaders must have the following ingredients to have willing followers: integrity, trust, consistency, follow through, and results. Even at a time the public are not sure about the decision taken (whether or not right decision) they may trust on the integrity alone not to cast doubts on their leadership. Integrity breeds consistency. Leadership’s inconsistencies are often signs of lack of confidence, direction and forethought. Right action may not be easy to happen often, but leaders must show what it takes them through their decisions and convictions. When integrity and consistency maintained, positive relationship and success will happen as a result. There is one absolute truth: In a team of leadership focused on a common goal, there should be always a shared leadership. The leadership should have supportive bases that help the public to recognize and lift up their ideas and efforts. If leadership is manipulated by the influence of outsiders, it loses its credibility. I am afraid the current leadership of ENCDC is losing its credibility in handling the issue of stakeholders who played a big role to the success of the congress. The integrity of the resistance force is at stake, affecting the balance of the equation. Whatever reversal of the decision they are taking, they must bear the consequences. Fighting against civic organizations and youths is unproductive and will take us nowhere. At this critical time, EDA is clearly resisting to be transformed and are hindering ENCDC from moving forward. They are acting against the process where they could build trust with the public. EDA members (who are members of the National council) are still working to their agendas as oppose to the responsibilities of the national council given at the congress. They saw the success of the congress is against their interest and hence all kinds of subversive activity against ENCDC. My view is simply this: EDA hold all the executive body in the ENCDC, and if they don’t allow themselves to be transformed into ENCDC structure as a soul leadership of the opposition, nothing will be accomplished. There is no need for an umbrella within umbrella. That is the challenge we are facing. The public as a force of change has a stake to change the archaic and antiquated existence of EDA. To our youth, welcome the recent unity of the two youth organizations. The current challenge of Eritrean politics is your challenge. The forces of change will be on your side as you take the lead in the current situation. Be new faces with new mind to heal our people and our nation. I find it quite disturbing the way this discussion is going ,we have appointed our selves as speakers and defenders of the faith,we all have our short comings,weaknesses and strength , it is not good enough to blame each other, if we want to establish a modern state in this 21st century we need to lift our political consciousness to a level were by our mind is the decision maker and not our emotion . Religion,ethnicity , regionalism creates emotions that we from third world we are so attached to, instead of individual achievement becoming the source of our pride . I would like to ask both Muslims and Christians, since when religion bonds people politically , if we go back to 1950 one can learn what happened to Islamic League in lowland Eritrea with the landlords who sided at the end with A ndinet and voted for Ethiopia , for self interest is greater , and what happened to Jahad movement which was formed in 1988 and had strong support at the beginning , what happened today and in to how many organization they are split , they look more tribal groups than religious . the Christians of Eritrea through the Orthodox church preached to the faithful to vote for mother Ethiopia during the referendum of 1950 the slogan was Ethiopia wey mot , the Ethiopian head of the state and church was the Emperor Haile Sellesie which promised a lot and delivered little , and not long after that the Eritrean Christians knew they are nothing in Ethiopia than second grade citizens to the Amhara ,even today we realize how the relation with weyane ended in tears no religion or ethnicity could save the relation when self interest is at stake . No use blaming each other with out putting enough effort to words changing the situation at home , there are more than 300,000 Eritreans in Sudan , I always wonder why they are quiet and indifferent despite being the vanguards during our armed struggle , with out their strong participation and those inside Eritrea ours will only be cyber revolution . I have written about our refugees (300,000) in Sudan in the 90s and raised the issue in their meeting (GOE meetings). The reason why I raised the current one is just to show that every section of our society is in the same predicament. Because, I don’t like the kind of characterization we are hearing at least at this crucial time, I saw the need of hard talk on our reality. If the current reality does not depict that we are oppressed indiscriminately in the same crucible by the regime, then we have a long way to go. The polarised view is wide spread which breeds as you rightly said mistrust and suspicion between the two. I support the middle way having both as one bunch tied together. when one sees the overwhelming majority of the diaspora Eritreans folowing the same pattern of support to the government through demonstrations and comments written and otherwise in the west.One can easily lean to say many of those you quoted above. We all observe each other and see who represents the most, and why? I think its self defeating simply to say, they don’t know! they know that’s why they go so long distance as to Haag to show their solidarity with the government, with so clear majority of one segment, why so? I think to exaggerate it, is wrong but to accept the reality is healthy enough to communicate and hence create trust as an asset we strive to achieve. Brother Hidrat, we all live in denaial to oneself and to the visual reality unfolding in front of our eyes. 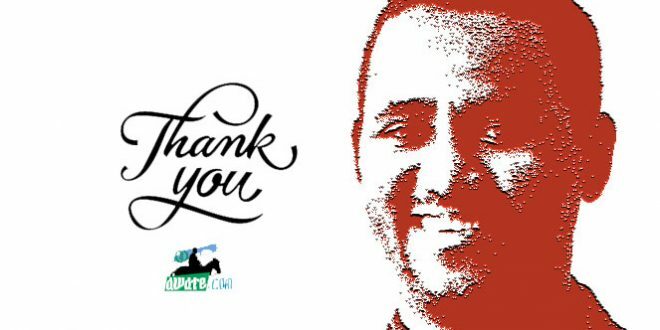 However, I still appreciate your brave contributions to the best way possible, that’s why we need the more like you. Yes I agree, that the mistrust among the two divides is still continuing. But the icons of the past whom I mentioned in this piece, have tried their best to bridge our society. I think the federation of Eritrea was the outcome of their compromise. My plea in my piece, is to remind them that we can reach to a political compromise relevant to our reality that hold the co-existence of the two divides. Look the endless bashing, there must be an end for that. It is very difficult to find interlocutors with this atmosphere. That is my concern; And my piece is trying exactly to change the atmosphere we are in. Otherwise, I agree with your take on the issue. It seems premature and futile to squabble over percentages, minorities, majorities, and any other divisive agenda. The fact is everyone is fleeing from Eritrea and no ethnic group is happy with the performance of the current dictatorship. Let us topple him first, and then let a clear and transparent democratic process resolve any difference we have among us. Besides, it should not matter if Muslims/Christians/Tigray/Tigrniya are a majority or minority later on. People elect whom they will, and everyone has the right to return to build Eritrea into a source of pride for us all. America elected Obama because they thought him to be the right man. Hopefully, this is how it should be in Eritrea post the Shabia dictatorship. People are hired and fired based on competence, not religious/tribal allegiances. For God’s sake let us transcend this petty differences for once. You should grasp my intention without searching my name, we are just debating and not issuing communiques of the ENCDC. I thought that you are interested about the issue on debate only. If I knew that you are more concerned about names, I would have told you that Hameed is not a member of the ENCDC, but a supporter of the ENCDC. Hameed is just a pen-name. In your comments you have made mistakes and as a member of the ENCDC and one of the elites you should not make such mistakes. If elites like you are in contradiction and suspicion how will be the rest? Since you are one of our leaders you should be careful on what you say or write, and when we confront you with our questions don’t try to divide us into lowlanders and highlanders. You are in the leadership position and you represent all Eritreans. May be the majority of those who elected you from the highland, but after your election you don’t just represent those who elected you, but you represent lowlanders and Hameed too. It is not good from you not to care for a person you represent him. It is shame to refuse to hear him and answer his questions. Man grow up, you shoulder in a proper way the dragging of Eritrea from where it is to the world of freedom in order to sigh deeply and breathe fresh air and taste the meaning of freedom and democracy. Dear brother Amanuel, my beloved leader, healing of Eritreans begins from you. Please, approach us with a healthy spirit and you will guarantee my vote for you if you intended to run a presidential election in the future. You have got the chance to play it wisely, honestly and transparently starting from now. To return back to my old question which is our main issue of debate: It is sad to depend the Einstein of Eritrea on tittle-tattle and divide us on minorities and majorities without statics of population census. The question I have asked you is very simple question, from where did you bring the minority and majority division which you stated in your introduction paragraph? I think by the comment above and in the rest of my previous comments, whenever there is a question from your side I am answering it and whenever there is a mistake from my side also I am acknowledging it. We can’t say we are struggling for our people at the time we hide our mistakes. Not only this but for the sake of our mistakes we make the world hell and start to divide our people. Justice begins from prosecuting ourselves, before the intervention of law. Our innate spirit should prosecute us. We should implement justice on ourselves as individuals before we request from others justice. Twenty years on after independence, Eritrea still doesn’t have census done to source information about its population characteristics. The country still has no budget and economic indicators. PFDJ is indeed a mafia, since a mafia doesn’t need those information be made available, lest it would be self incriminating. Twenty years on, most diaspora community organizations (mahbere’Comat) do not even own the basic musical instruments that they rent for socials. Their children’s program is a money making scheme to milk unsuspecting parents. They do not even provide loose leaf and pencils. Every other shimagle is another ruse to rake it in. PFDJ’s joke of a government can be seen as the name given to prostitutes in (highland?) Eritrea – B’ealti geza or Geza Kh’efita. Really B’ealti geza (home maker) is in reality the job of a respectable wife. Who nurtures her family with loving caring and jealous affection and looking after their needs for comfortable habitat and warm and delicious meals (well that is my wife at least). The B’ealti Geza prostitute however, only provides a well made bed with red hot S’Elef roll over with for momentarily thrill and vanishes into thin air. That is PFDJ’s social projects, just a sham, a ruse made to cover a wanton impoverishing of vulnerable populations for selfish end. As the regime is shaving us off dry to the bones, here we confer about how many of us are there in one group or another and so forth. 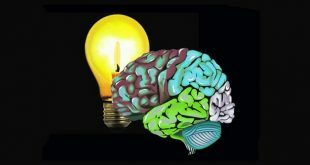 Lets think big, and think empowering the oppressed through meaningful social projects. I am as baffled as you are about the value of the Muslim/Christain division to the struggle of toppling the dictator. Not sure in what universe it is a good idea to lump the regime with half of the population given the transparent nature of its brutality. One would expect the opposition to expand the base of support and yet this has the effect of shrinking the base by half, even a novice can see that. The stated reason given by the sensible among the framers is, it is done to wake up the highlanders. Well, I see those who cheer the regime still cheering, no mass defection there. Given its offensive nature to many of the victims, I don’t think it was supposed to galvanized those highlanders who already oppose the regime. The only answer I can think of is, the aim was to realign the opposition. To what end, God only knows. The pfdj are enjoying this. The one who came up with the idea must have been rewarded handsomely, if he was a pfdj. If he is from the opposition, he must be very short sighted. If the idea is to galvanize the Muslims, the framers of this divided vision must have a very low opinion of the lowlanders. To believe that our Muslim brothers are so dense that that they need to believe the Christian half is their enemy in order to fully realize their potential, because what the pfdj are doing to them is not enough, is sad and disrespectful. Statistics are hard come by, but I don’t see any intensification of the struggle by any group. The world and the neighboring countries are doing their part…they so rattled the dictator, he came all the way to New York to plead his case. His lover is dead, his sugar daddies have to deal with their own problem. The Arab Spring is consuming one fascist after another and yet there are those among us who think counting the ethnicity of the pfdj employees and making a regime sanctioned for helping fundamentalists in Somalia, pure Christian, pure highlander, is more important. One day we will all wake up to the best news we ever had: Isais is dead… and our Spring will begin. Lets hope we are done with this silly highland bad lowland good nonsense by then. I think it is not a sensible solution for the victims to cheer for the criminal who will never feel compassion towards them. What is the reason behind your thinking to side with the criminal who victimize you when ever you are confronted with a controversial issue that you instigate? Do you want us not to raise our eyebrows whenever you say something, the only thing required from our side is just to say Yes Sir, what is your instruction? What do you call this attitude, Sir Serray? You say you advocate for democracy and equal rights for all the people, where is your democracy and equal rights for all with such an attitude? Is it forbidden in democracy to question or to say that is wrong? Are the lowlanders more dangerous to you Sir Serray than the dictator, and when did lowlanders victimize you? Can you mention for us an instance that we can apologize for? Please, depart the worn out thoughts and upgrade your mindsets in order to coin a peaceful and prosperous nation for our people. Suspicion is not the solution, if it was a solution we would have solved our problems before seven decades. On March 4,2012 at 8:18 am, in our comment you said “but as far as I know Mr. Hidrat and I are under the elected body of ENCDE, at least we consider this is an elected body that represents mostly all the composition of the Eritrean people.” I just checked my record as well as Gedeb news, that there is no member of the council by the name “Hameed” unless you are using pen-name. I understand your concern about the current situation. But let me remind you one thing: It took us nine years fight, since 2003, to have a national conference and national congress. The outcome is the result of the hard battle fought against the status quo, a strong resistance for change within the opposition. The resistance of today within the opposition is the residual-resistance of those days. Change is inevitable, and I am optimistic it will happen. They will be dictated by the reality on the ground. Our youth are making strides and they will be the forces that moves the ball to its destination. No question our generation became static. keep the hope alive. Lets hope so about the youth, the sleeping giants. God knows they have been missing in action long enough. Some times I think part of the reason this thing is taking too long is because it is lead by people who are not really the victims of regime, people like us who live way out of the reach of the tentacles of the dictator. Case in point, the subject we are discussing right now…it can only be manufactured by people who are untouched by the regime the way youth are. You lost me there. The regime is more or less sustained by the fear and support of its victims. If you think only the highlanders fear and support the regime, i am afraid you are deluded. Look around you, see how many people visited eritrea in the last 20 years, paid 2 percent….THEY are the supporters of the regime. The EDF is the enforcers of the regime and, according Fessehaye up there, the military is 65 percent Muslim (I am assuming you agree with that statistics since you didn’t challenge it when you challenged every other comment). Until we hear a region in the lowlands declared autonomy by force, like Benghazi in libya, we are going to assume the lowlander is as terrified as the rest of the country. You guys need to stop giving yourselves excuses, the regime remains standing because of all of us…..YOU and US equally. The reason I didn’t comment on Fessehaye’s 65 percent Muslims is that Fessehaye is a commentator like me and his comments or percentages I will not take seriously, but the writings of brother Hidrat is very important to me because he is one of the elites and at the same time now he is one of our leaders. Everything he says counts a lot. Brother Amanuel shoulders the responsibility of all Eritreans, therefore he should stand for all Eritrean without dividing them in any form. He is accountable in front of all the people of Eritrean for everything he says or writes. He is a national figure not a layman like me or Fessahaye whom no one knows about them. Your question have led me to the following question: Who should be given priority of treatment from our ailments; the people or the intellectuals and leaders? in other words: who should be healed first the people or the elites? I see first we should cure our elites and after that healing the rest of the people will not take time. This is the reason that makes me question our elites in order to cure them from their ailments. When the head is Ok, handling the rest of the body is easy. In Eritrea the problem is in the heads and not the people. As you know in a clinical death, that means the death of the mind, the functioning of the rest of the body is useless, therefore doctors consider as a dead person and stop all treatment. We stand with our elites against their enemies, but when they are questioned by their supporters we should let them to defend themselves. It is an uncivilized deed to assist them hide their mistakes. At this time the whole people of Eritrea are victims of the regime, no one is spared. Our people in the Kebbessa or lowlands have no problems among themselves and if things left to them it will not take time to settle everything within a short time. The problem is in the regime and some of our elites in the opposition who struggle to be leaders through twisted ways and by dividing the people into tribes, religion and region. It is their right to dream to be leaders, but that should be through the right channels. This leads me to question: why do our politicians resort to cheap methods to guarantee leadership? I think they don’t have confidence on their competence to win the hearts and minds of all Eritreans, therefore they fall back to mean methods, such as lowlanders and highlanders. The solution lies on the hands of the people we have to press them to raise to high standards by questioning them and hindering them from using us as their cheap tools to attain their desire through practicing upon us mean style of politics. You see brother Serray, it never comes to my mind that if I didn’t agree with you I will join the dictator and fight you. I wonder how a person thinks like that. You can’t cultivate a healthy new generation with out respecting the right of others. Imagine the Banned ones, the new generation in refugee comps in eastern Sudan who are rejected the right to come back to their home land in the lowland of Eritrea since the Independence day. But again imagine the nehna nesu generation, who have it all, supporting the regime and challenging me and you. Your job is training them kicking the ball to its destination. Here we are talking about polarized generation. You your self are saying We and Them in your arguments and you are already disqualified yourself to be a couch for the new generation. I don’t know if i laugh or cry when i read your accusation of Hameed for not been in the list of opposition because he didn’t play the lyric of hallelujah to your totalitarian definitions of the regime. Checking every Pen-Name on the opposition list, shows that you are so depressed about the regime ethnic crime. Then you are going to have hard time checking half av the population in your totalitarian list. Mr. Hidrat the regime ethnic crime is not your crime, spare yourself the trouble of going mad. Don’t trivialize the seriousness of the issue! To soothe down brother Amanuel Hidrat from his rage and hinder him from recruiting supporters meanderingly I see it is healthy to define the regime in Eritrea as: Isaias is from China and his supporters are Chinese. He imposes on Eritreans the Chinese culture and the Chinese language Mandarin. Thank you ,Mr Hidarat , for initiating an article which provoked a healthy debate. This is one of the few articles ever where people (readers) commented in a civilized manner. Although I do not know if the Tigrayit-speakers are minority, Eritrean Muslims are definitely the majority. You mentioned the “Eritrean Covenant” authors, who by the way, failed to mention in their statistics that the majority of the Eritrean Army today are Muslims, and by some conservative estimates over 65%. It is disturbing to think that while Eritrean Muslims’ ancestral land is being expropriated by Highlanders, how come Muslim soldiers are the majority? In 1995 Isayas refused to allow the UNHCR to settle 300.000 plus Eritreans (mostly Muslim/Lowl-landers who fled since the sixties) from the Sudan into Eritrea. Did Isayas foresee the economic importance of the lowlands and had sinister plans for the Barka Basin? 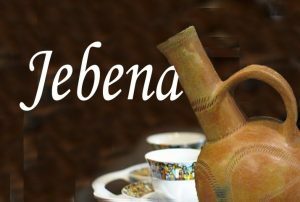 Indeed during the Ethiopian colonial years the Barka area had proven to be the bread basket of Etitrea. Is it perhaps the “curse” by the Muslims that turned the clock against the Christians who are fleeing Eritrea today? We must not forget that Eritreans have become a chess-board of Isayas: he uses us and throws us against one another. “In 1995 Isayas refused to allow the UNHCR to settle 300.000 plus Eritreans (mostly Muslim/Lowl-landers who fled since the sixties) from the Sudan into Eritrea. Did Isayas foresee the economic importance of the lowlands and had sinister plans for the Barka Basin? Indeed during the Ethiopian colonial years the Barka area had proven to be the bread basket of Etitrea. Selam :- Brother Fessahaye, when one talks about Isayas Afewerki, one doesn’t stop to wonder because there is nothing bad which just wasn’t done by Isayas. Starting from the beginning, when he joined the ELF, he was a fake person. He was sent to China in 1967 for a military training, together with his brothers Romedan Mohamed Nur, Ahmed Adem Omer etc. 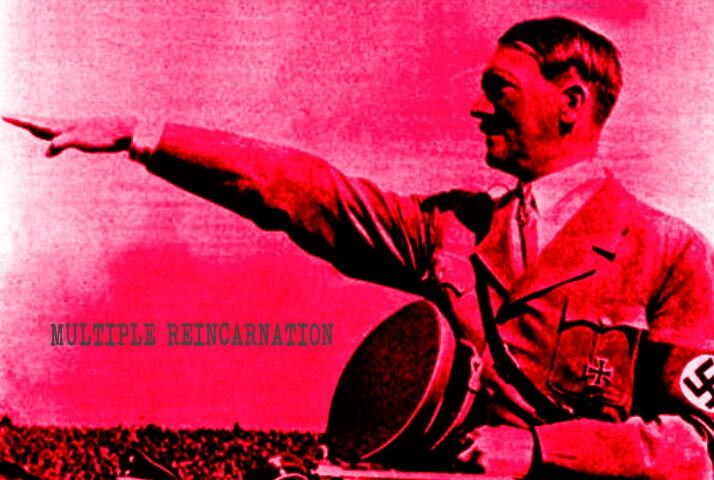 But he returned brainwashed by the communism ideology of Mao Zedong. Then he formed his own group in 1970 but the main argument is his alibi which he used to call his former ELF compatriots as Islamists and everybody knows that the ideology of ELF has never been an Islamist. When his alibi would have been true, then why they have been sent to China and not to Saudi Arabia or another Arabian country? But one has to lie to recruit new members for one’s group and no one else than Isayas perfected it to make our brothers and sisters from highland scared. If he would have tried it at the university or other schools, I guess no one would have believed him because everybody knew that there weren’t any problems between our brothers and sisters Muslim and Christian. This is why he has chosen the peasants and farmers from our highland who believed everything what he said. He could have corrected it after our independence if he were honest to unite our highlanders and lowlanders but he didn’t. And finally he fooled every one of us. His behaviour had nothing to do with our Eritrean culture and values. He looks like a person who is obsessed by the inferiority complex but this isn’t a surprise. Every one who visited the university of Addis Abeba only has one thing in his mind: to question our sovereignty. What Isayas did until now is nothing comparing to that what we will know about him when he one day will be gone away. I know that there will be a collective shock but we have to be strong then. Just truth as unusual. I am confident that no one will cheat us any more. Thank you brother Exciter. Those who make stories out of nothing are useless few people. And the other few are the once who didn’t and aren’t watching what is going on in Syria. 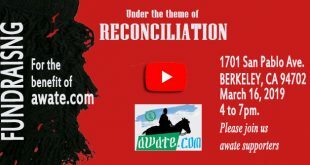 we should know that our culture was not and will not be contaminated with dirty ideology of such parties like BAAS or PFDJ that has killed many people by dividing. Look the people of Syria how they have been cheated between the same Suni and Alewi It is difficult to believe how much the have become cruel to each other. our people are kind people who are even kind to their dogs and cats. there is no way to make division among us. Hailesase has tried it as if he care for Christians, even Mengstu has tried it as if he care more for lowlanders. by the way, if you are a Christian and don’t perform your religion a muslim will not trust you in in Eritrea that is our culture. I have a fried who send me a wonderful mat as gift and say to me don’t miss a single prayer. we have a wonderful culture brothers. Well said brothers. Our brother Exciter has touched an important point that indicates from where Isaias had began to cheat the farmers and peasants of the highland. It began by giving them a distorted information about the ELF. As brother Exciter said If they were with an Islam ideology they wouldn’t send him to China with his colleague Ramadan Mohammed Nur or they wouldn’t accept him from the beginning as a member of the ELF and elect him as a part of its leaders. This proves that he is a liar #1. Isaias didn’t only cheat the farmers and peasants from the highlands but he had also cheated lowlanders by telling them that he is a communist and their Front is a communist Front that struggles to liberate Eritrea and unite the people of Eritrea. From the beginning he knew how to play it on both sides lowlanders and highlanders. Isaias not only stopped on working on both sides with different ideologies, but he liquidated those who could expose his destructive plan and challenge him. And in front of those who were liquidated were ‘Manka’, and the list of liquidation continues to the present date. Isaias from the beginning was not struggling to liberate the people of Eritrea, but he joined our Fronts to be a leader of Eritrea for the whole of his life and if possible to be the leader of the horn of Africa or the continent, but he failed in the test. Isaias is not the only tyrant we have in Eritrea but there are many like him among us from the enlightened and leaders of the Fronts who wear the coat of the opposition. The opportunists level of poison may vary from person to person, but they exist among us. They are experts in chocolating issues, therefore we should be vigilant and don’t swallow everything they prescribe for us without activating our minds and questioning them. everybody has his weak part in this world. If PIA is what you describe him all… as you and brother Exciter say it he was using the weakness of people otherwise he couldn’t survive even a single day. so, let’s all agree this poisonous group and PIA have been grown from the soil and water which was comfortable for them using the “national question” as the sun giving the the necessary light . But Hameed, no single man has said we are totally clean and we still don’t have weakness. What have been said is that we will all accept each other with what we are and we will have centralism which will be followed by all. Means no one is superior but the system only is our bible. while going through democratic journey those who hold their tendency (like religious parties for example) will withdraw as they will automatically find everything is secured for their well-being. This is the way to leave together only and you don’t have to agree in everything you belief with others but don’t catch everything as negative as that will only widen the differences we have. At last let me tell you perfection is only for God and we have to know and manage to stay in peace all of us. thanks and with all respect. Please refrain from bellicose rhetoric against your compatriots, to allow the moderates from both sides to pull us to a meaningful dialogue through interlocutors. I am not supposed to answer to all temper tantrums. My plea is clear to readers. I think you are imagining too much. Who said all minorities in Eritrea are Moslem? In fact, would it be possible to call a Moslem highlander a minority? Do you sincerely think the main problem Eritrea is facing today is religious rivalry or is this a personal priority for you? An Eritrean can be many things: a certai ethnic, a certain religion, a certain gender, a certain socio-economic class, a certain language group, a certain political affiliation, a certain age group, a certain health status, a certain ancestry, a certain residency (home/diaspora)… and many more. Given that you are narrowing it to a single dividing issue, what is the constituency size of your enterprise. Please look at the bigger class of issues in order to respond effectively to the multi faceted problems faced by our people. Single issue politicking is a non starter and often devolve into unhealthy tendency of extremism. ‘Social Devaluation’ is what we need to combat against, and please read some more into the concept of Social Role Valorization in order to gain some insight into the deteriorating conditions of all our people. My priority is not religion, tribes or region. My dream is to leave all worn out politics behind us and open a new page full of honesty, transparency in order to prevail peace and justice among Eritreans. Believe me brother I love our people in Kebbessa more than brother Amanuel himself and I hate opportunists and hypocrites whether they are lowlanders or highlanders. I am not the one who wrote about minorities, you can go back and read the introduction paragraph in the article of brother Amanuel. I am neither in a bellicose rhetoric or tantrum temper. It is not my first time to read or hear devious methods, the Eritrean political arena is full of such types of elites and educated individuals whose only aim is to get supporters to become leaders. They struggle for self interests and gratification and not for the people of Eritrea. It is important the people of Eritrea to take care once from their enemy and thousand times from dubious elites who mislead the people to achieve their goals and not the interests of the people. Believe me, I was laughing to your laconic statement. Selam :- My compatriots. As we all know, there is no problem which can’t be solved. We only need to face it with credibility, trust and respect among us. This also counts for politics and religions. My opinion is that we should learn from the mistakes of the past so that we can do better in the future; we can’t change the past but we can learn from it. Muslim or Christian, Highlander or Lowlander, we are all brothers and sisters, we are all Eritreans. The suffering of every Eritrean shouldn’t be divided by his ethnic background or religion but one has to see it as a collective case. In this difficult phase, we have to help each other through solidarity. 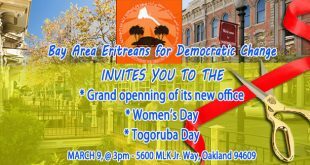 So let’s unite for a better Eritrea! Let’s fight against the retarded dictator and his PFDJ mafia syndicate! For two days I waited for you to answer my question: Who are the minorities that you stated in the introduction paragraph of your article? When I asked you the question it doesn’t mean that I have no knowledge of the answer of the question, but I want to get the answer from your side. As far as you failed to answer my question you have to accept my reading to your introduction paragraph. You mentioned minorities in your introduction, then shifted to Moslems to imprint that Moslems in Eritrea are minorities. Here, you intertwine with Semere Tesfy who advocates that the Tig-tribe are the majority, thus should rule the country either by election or without election, and minorities should consent to what the Tig-tribe do without raising their eyebrows. The difference between you and Semere Tesfy is that you advocate for justice for the minorities. Thank you Mr. Hidrat for your compassion for ‘us’ the minorities. I wonder how a person who is infatuated with science depends on tittle-tattle and distributes percentages without a data to refer and confirm his claims. As all of us know the exact population of Eritrea is not known let alone to know the right population number of Moslems and Christians. Moslems say they are 65-70% percent of the Eritrean people and Christians say they are 50%. And people like Semere Tesfy openly say the Tig-tribe is the majority without stating the percentage, and people like brother Amanuel consider the Moslems as minorities without specifying the exact percentage. There is no a population census in Eritrea, and a person who claims he struggles to build a bridge among Eritreans should be far from controversial issues where he has no well documented data. The only thing I can say to you ‘Babur Yigabayka’ to borrow Mansur Karar title for an article appeared before ten years in awate.com and it means ‘it is not your route, train’. Mr. Hidrat this old politics will not build bridge among Eritreans. To build bridges among people requires upgrading of mind-sets. You know what happened to me when I came to read your article with an open mind. I was frustrated from the first paragraph for your coming with a controversial issue in crooked way to implant that you are the majority. This has made consider the rest of your article as a hypocrisy. What you have done is not different from that of the regime which engraves wrong history in the mind of its supporters. All what you have mentioned in your comment I don’t consider them as supporters of the regime, but persons trapped for different reasons. It is not good to implicate a needy person who attend meetings and dancing celebrations of the regime for some reasons to consider him as a supporter of the regime and paint him as a traitor, on the contrary such persons should benefit from them the opposition to work from inside the regime for the interests of the opposition. We should speak about the real supporters of the regime and not deviate from it. There is a real reason behind the support of Isaias. We should not attempt to hide that in order to get cure for the ailment. In our culture we have a good way of solving problems that occur between the tribes. For example when a certain person from a tribe commits a crime against a person from another tribe, the victim’s tribe presents its complaint to the heads of the other tribe. The criminal’s tribe accepts their grievances and pays the blood-money and settles the issue with them. The whole tribe pays the blood-money. Pay attention here, the entire tribe becomes responsible of the crime and all its members pay the blood-money. Look here, only one person from the tribe is the criminal and the other members of the tribe are innocents, but they acknowledge the crime and participate in paying the blood-money. They solve their problems and the punishment of the criminal comes from the side of his tribe. We have such a rich culture of acknowledging the crime of a member or members of our tribe. In such a way the tribes of Eritrea create peace and love among their tribes. They don’t hide criminals or deny crimes performed by a member/s from their tribe. We should not escape from discussing the real reason behind the support of the ‘Nihna Nisu’ group to please X or Y. You could fill the gap between those that I called diehard and the innocent who are trapped as you mention as the ‘Nihna Nisu’ group who willingly support fall in between. As the discussion follows, probably you would attribute their support to regional or religious affiliation, however that would not give you full explanation as when DIA tramped on either or both, these supporters are still clinging to him. Expand on it, if you will….it is just better when it done in a conducive environment of learning rather than just one that feel for the sake of blame. What interests me, since we don’t clear statistics to speak of, the breakdown would prevent misunderstandings and when you speak of supporters there is an understanding whom you exclude as there is clarity in definition or categorization you make. Otherwise, in heated debates broad brushed statements tend to mean different thing to the one making the point and the one on the receiving end. I might be wrong, much of conflict may be attributed to misunderstandings or failure in communication, and we need to be cautious on that. I agree with you brother there should be an academic research to correctly define the problem and get the right solution to the ‘Nihna Nisu’ phenomenon. This group has totally lost compassion to their compatriots. They are always in a deny of stark realities. They lost rationality and whatever comes to them from their godfather accept it without question as if it is scriptures descended to them by angel Gabriel from God. Thank you sister… I learn much more from you too. Very interesting article and interesting comments. Eversince Eritrean politics started we have always seen and described it in terms of religion and ethnicity. ELF was described as Muslim and Jihadists and EPLF as Christian and Crusaders and it seems that we cannot come out from that box. Leaving that to history after 50 years of of wonderfull armed struggle where both the highlanders and lowlanders Muslims and Christians in unity have made the ultimate sacrifice for independence we have now one of the most tyranical and fascist regime in the history of mankind. This should have united us. If we cannot be united to fight against this tyranical regime what else can unite us? The regime tyranical as it is, it imprisons and murders anybody who oppose it. In the eyes of the regime there is no Christian or Muslim. There is no Lowlander or Highlander. There are only supporters and opposition and supporters have to be remunarated and the opposition have to be eliminated irrespective of their ethnicity or religion. All the actions taken against the muslim teachers, the orthodox patriarch and Johovas and Pentecostals attest to that. If we want more examples the cruel murder of of the disabled veterans of Mai Habar in their wheel chair and the case of G15 shows that too. And yet people tell us it is a Tigrigna regime, it is a Christian regime, it is a highlander regime. Nothing can be further from the truth. We can see that the highlanders and Christians like their lowland Muslim brothers are opposing and fighting the regime.The regime has neither been mandated or elected by the highlanders. 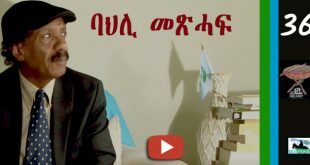 But because his name is Isaias and he is highlander people like Ali Salim not only believe it is a tigrigna regime but he even dares to call all the highlanders Neo Nazis, Land Grabbers, and Zeree shefatu and it will not surprise me if some weak hearted highlanders have reservations on the opposition. In one of his interviews with Adal TV Saleh Johar said if Isaias goes, the regime will go. He is right but that only proves that it is not a Tigrigna regime but Isaias regime. The way foreward is to come out of this box united and fight for nationalist and secular politics. In Eritrea where more or less the people are equally devided along religious lines neither Islamic party nor Christian party make sense because it simply ignore the other half. I do not see any clear guide lines that makes you say bayto awassa is the sole governing body immerged at the congress. 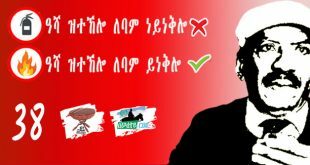 Could you site any rules or documents that says EDA is sub-ordinate to bayto Awassa. Are you guys expecting some one to give you an order to follow chain of command. Poor Ammanuel you congregated like sheep for ten days at Awassa and you are expecting EDA to dissolve itself. Beside Ali Salim and Semere Tesfai, whose articles may be construed to target whole constituent from our communities, as a regular reader I found the rest of awate contributors clearly mindful from lumping a full segment of our society blameworthy for the predicament that Eritrea is finding itself in. Trying to define the core of the regime and its ardent supporters, the Nhna, Nsu group, it what is creating friction and the safest thing to do has been to narrow the regime to “one man entity” and designate the Nhna Nsu as “gullible, innocent,…, etc…” while this does not give a satisfactory explanation and in truth the regime require better identification and the supporters need to be adequately categorised. A move towards precision would give clarity to opposition and reduce the internal fear and mistrust that may be prevalent among opposition parties. SG has identified the two extremes stands for his next Negarit, I look forward to see his insight on that. Other than the identification of the regime and its supporters, the second issue that causing sensitivity is the highlighting of suffering. What it tend to happen, when someone highlights his own constituents suffering, the emphasis leads to the assumption that that person is not aware or has no empathy to the suffering of his compatriots, this goes to both sides of the divide. The emphasis of one suffering, should not be regarded as ignorance of other sufferings. Whilst the debates of our Rainbow were raging, you were a contributor that was attempting to work out a framework that would allow the venting of frustration whilst allow all stakeholders to be able to work out solutions that future Eritrea would based on fairness and justice that would be accommodating to all stakeholders. There is strong frustration when considering the predicament of neglected refugees in East Sudan and now refugees crossing the sea and deserts, both happen to be highlighted by Lowlanders and Highlanders with emphasis to timeline and size of the problem respectively. Whilst both know the source of the problem, there is fear that hard worked effort and contribution might not yield the change hoped. Only working closer is going to build the confidence and assurance required to channel the frustration in the right direction to bring about a change and I am confident that we are going in the right direction, except that the pace may not be well in tune to prevent a potential disaster that the current regime is taking the nation to. So let us stay focused! Well articulated comment. We have not just to define the ‘Nihna Nisu’ group as gullible and stop there we have to go deep and study this group of the Eritrean people. I agree with you that they are innocent people except their support to the regime which the regime worked on it for a long time and completely brain washed them starting from ‘Nihnan Alamanan’. Yes, they are innocents but when it comes to our youth who are perishing on the high seas and deserts they don’t care. They lost sympathy to their compatriots who are suffering under the fascist regime. We have to find an applicable definition for this phenomenon, and the right definition we get it in the ‘Nehna Nisu’ mantra. Let us examine it and we will find this is not about politics or management. If the issue is about politics, management and well being of Eritreans, they have changed their minds through time after the failure of the regime to run the country, but their blind support has nothing to do with politics. Precisely it is about faith, it is about religion. This section of innocent Eritreans see Isaias as Crusader, as a god that is why they don’t care about our youth who are perishing inside and outside Eritrea or those at Era Ero or the imprisonment of the Orthodox Patriarch. These people will not be persuaded even if the five million Eritrean left the country or perished, so what is the way out. I think one of the solutions could be organizing a Democratic Christian Party; this at least may recover some of them to return to their senses. And the last solution that returns these innocent group of our people to their consciousness is the death of Isaias and those around him. When it comes to the supporters, not all of them are innocent, some are just diehards, opportunist or have identity problem and there is no point wasting your time on them. They are few in numbers like the core of the regime and they will be the first to disassociate from DIA when change comes. The majority from the supporters despise the regime but do not have the guts to fight it at this stage. In the last few years, the wind of change is helping many to openly show their dissatisfaction an opposition to DIA and this is increasing by the day. 1. Weak Opposition – This leads people to yield as they can’t hang on waiting indefinitely. The opposition are not seen as formidable alternative, interestingly to my surprise Semere Tesfai in his last article confidently asserts if election were run DIA/PFDJ would be elected, he insinuates not because people are satisfied, rather due to lack of better alternative. 2. 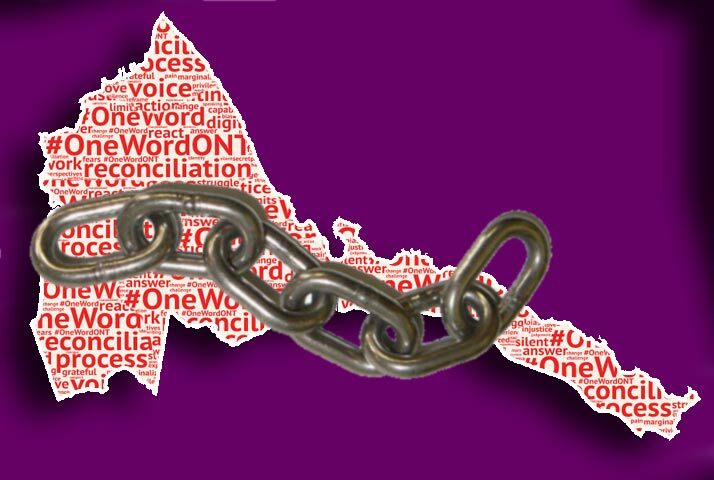 Direct Blackmail – Those who have assets in the country or their residency is dependent of having valid Eritrean documents have no choice but to carry on propping the regime financially and pray for a change. Many who rushed to invest their future in Eritrea after long years of life as immigrants have been trapped in the housing fraud and continue to be chained to it hoping to see something for their investments. 4. Diaspora Youth – Those born outside Eritrea face challenges growing as foreigners, their parents fear that they could loose their identity, so they encourage their participation in Eritrean causes, community activities, home visits. The opposition is not in a position to cater for this category, thus YPFDJ finds it easy to recruit supporters. 5. Ignorance of each other – Lack of knowledge about our diversity is one issue that makes us prone to listen to our deep seated fears and lend ears to those who would sow the seed of discord. 6. 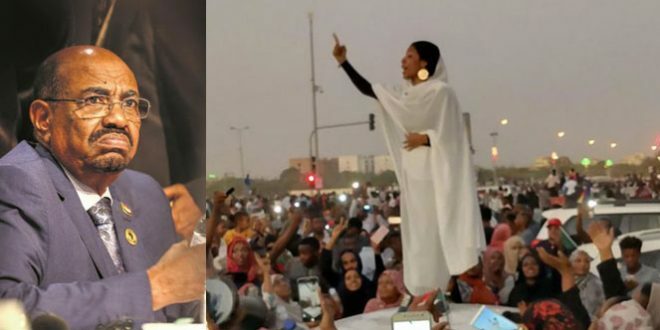 The Ethiopian factor – Unfortunately the opposition have not found any other place accommodating and they had no option but to fight tyranny from Ethiopia. This has added another factor of complication to the struggle against oppression. 9. Control of the life of our youth – Slavery or perpetual service that leaves no space on improving oneself, let alone be politically engaged. 10. Propaganda – Eri-TV being effective in bombarding people with infrastructure schemes that make one feel there is progress as there is no means of measuring the regress. Opposition media outlet, mainly concentrate on the educated section of our population and this is due to the meagre resource available. 11. Parallel lives – Life of tourist (beles as they are called) and that of residents. Asmara with its beauty helps in masking the suffering of our people from the eyes of the naïve visitors. On return from home, the person is unable to believe the opposition. The above are some factors and many more that need the attention of the opposition, once comprehensively identified what is required is to work on diminishing the support base of the regime by chipping in and working on each one of them. It could have been a great presentation in a power-point format. What you’ve just laid out are the pearls of the ‘sticking’ points where the daunting challenges are. If I could add points here and there however, I would say, the regime is dying from with in as opposed to from with out. Eri-TV could brandish a make believe economic progress where the reality is a sham at best as Isaias is teetering on a verge of collapse as he is left with no friends what so ever. I just read today a news item which reads, “The most expensive gas price in the world is in Eritrea.” Imagine, it tells you that, the economic ramshackle is appalling to say the least where the common people in the country are feeling the burnt as days go by. 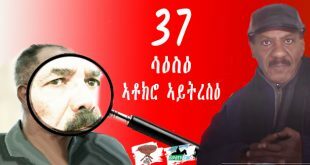 The diaspora politics could say or could come with different colours where some say the Opposition are weak, or some say, we would rather have Isaias as opposed to a divided Opposition, some would say, it is counter-productive for the Opposition to launch their struggle from the heartland of Ethiopia. Or some particularly the young who were born and brought up in foreign lands would seek a remedy for their melted out identity as their need for attachment is manipulated by the regime in Eritrea. But in reality, as much as the diaspora politics at times appears irrelevant at best, what matters the most is the single trigger effect that is waiting to happen inside Eritrea as the people are incredibly suffocated beyond the threshold by cruelty, oppression, and an outright misery. You have a very impressive run through of the many challenges as regards the issue of the ‘supporter’. Needless to say that all your points make perfect sense and many can identify with it readily. Going to the next step of what you alluded to as “by chipping in and working on each one of them” however requires more by way of the subtle truths that regulate all the issues specified as one whole (i.e. the ‘support’ in this case). It seems to me the the golden key is found in the basic principles of ‘relationship’. People first come to recognize a need that they have, then identify a source that would satisfy that need and eventually, depending on how well that need is satisfied, a bonding or relationship emerges. Surprisingly, few people take the time to evaluate the overall direction that relationship may be taking in the longer term. Strong relationships are formed around critical areas of need as housing, employment, education and residency permits. Does the opposition strive to implement social projects geared in these direction? The answer is in the negative. When talking about ‘alternatives’ we need to consider the whole host of alternatives that need to exist at all levels, not just in the final and broader outcome. How many children’s language schools does the opposition cater, how many new arrivals support network does the opposition cater, how many social occasions does it promote through business (as in bars and restaurants and social events). What level of community outreach activities does it undertake? Simply defining, categorizing, packaging and re-packaging perceived groups and trying to win hearts and minds through sheer propaganda is well short of the necessary ‘alternative’. Relationships are made and lost based on fundamental human need, as perceived by that party. Threats, bashing and intimidation do not augur well in cultivating strong bonds. How many times have you heard the opposition making empty threats (the most detrimental to those who issue them willy-nilly) of ‘reporting PFDJ supporters to local authorities and so forth. You are entertaining a very worthwhile cause, and it would require people of big ideas and strong will to to take it further. Well said. I couldn’t agree more. Hope the top notch Opposition figures read your otherwise hands-on practical approach and take it to heart. That is precisely the reason I visit Awate.com so that I could learn great things from people like you. I completely agree with your point. Don’t you reckon ENDC with its composition is well positioned to work on winning hearts and build the relationship and bond that you mentioned? Otherwise it will be as sister b’Alti W’qatto Arwe pointed out a wait for the regime to die from within as opposed to from without. Even though that is an eventuality, it will be a costly one. I see you for the first time defending your tigrinya brothers this way, i believe it is healthy for the ongoing discussion to act this way. As a Muslim and lowlander i can have different view than you on the Eritrean governance in many things as well, and this should be respected. It is wrong to accuse lowlander and Muslims for not condemning the wrong doing against christian citizen. I went through all Arabic and English websites and i found them morally upright and exposing the cruel exercise of power against all citizen. But this can´t hinder those who are marginalized to tell the nature of the regime. Majority(if not almost all in some case) of the power holders are Tigrenya ethnic, and this is the same with the supporters statistics. To the none moderate and moderates who ignore this and calling people Jahdist and Ali Salim group, they have to be realistic and ask help to get rid of this ignorance. This problem was always there through out our history, Andenet(untiy with ethiopia) and rabita (Eritrean independence), ELF (with national goal) and selfnatizinet/ tigray tigrinya ( with ethinc goal) and finally what we learned from this regime is that a national goal never will be fulfilled without the participation of all nationals. It is wrong to let the responsibility of telling this crime on the shoulders of Muslims and lowlanders, and when ever they remind you of it, you call them Jahadist. If you believe people like me are holding the opposition hostage in perpetual roller coaster, this is because of our attitude to wards the land grabbers, who are graving Gold in the land of 500000 refugee in eastern Sudan. if you think this problem is belong to me and the old ELF fine, that is the least i can do until the new generation takes over. If you don´t address this social scandal, tell me what are you opposing then? Me and people like me are apposing the regime for this and all kind of oppression, unlike those who has selective approach to the problem. The ELF and EPLF are two different schools in Eritrean history, the good and the bad, we have to be proud of it and tell our new generation not to repeat the same mistake. I will respect your view but its fascinating to read your twisted, pathetic logic; the fascist regime you describe as Tigrigna ethnic is also grapping land and digging for gold in the highland without their permission. It’s not unique to the lowland therefore we are all in the same boat. I oppose the pfdj fascist regime policy from A-Z, because it doesn’t have the mandate of the people to lead (lowland/highland). The fascist regime is ruling our people at gun point therefore it doesn’t represent any Eritrean. By the way Mr. Mohmoud what do you think of the over 60+ deki highlands who fell in the lowland fighting the derg? In the eye of the youth, there is no lowland/highland, but one Eritrea; I am opposing the fascist regime for all Eritreans. Mr. Mohmoud pls drop your old grudges and join us, if you can’t do that, then pls stop polarizing the opposition with the us/them bankrupt/backward mentality. The fascist pfdj regime will rule our people forever unless we come together for a common goal to build democratic and fair Eritrea to all. “This problem was always there through out our history, Andenet(untiy with ethiopia) and rabita (Eritrean independence), ELF (with national goal) and selfnatizinet/ tigray tigrinya ( with ethinc goal) and finally what we learned from this regime is that a national goal never will be fulfilled without the participation of all nationals. It is wrong to let the responsibility of telling this crime on the shoulders of Muslims and lowlanders, and when ever they remind you of it, you call them Jahadist.” Tell me how you devote serious effort or energy with out admitting this dark side of your history. I read Teweldeberhan’s posting. I read Wediere’s and yours. And then I read Soira’s response to you. Let us suppose that these five individuals represent the entire country and what we decide will be the foundation of future Eritrea, just like the Founding Fathers of the United States. As a Christian highlander who feels totally betrayed by Isaias and who lost many family members (as all Eritreans did) to the Liberation War, I cannot vote for your arguement, with all due respect. I have to vote with the other three, with full awareness and keeping a keen eye to your concerns. This honest assessment by a plain-speaking Eritrean could not be any different, I believe, from the assessment of my Muslim neighbor in the small village of Adi Gebrai. Please help stop the suffering of our people. You are a humble person and i respect you for that. What am saying is that we have to be able to tell our story, i doesn’t matter if it is from Adi Gebrai or a refugee camp in eastern Sudan. You seem you are a wise man, but when you mentioned Ali Salem, you forget to be neutral and became unbaised for not mentioning Semere Tesfai. and regarding the Eritrean Covenant, you seem like you have objection to the issue raised by the document, well, its your democratic right to oppose it or to support it. if you are ready to challenge it, then come up with your points of challenge, and make it public as the Covenant, I am sure that you will be welcomed. You have address to contact Mejlis Ibrahim Mukhtar if you want the challenge to be in a round table. But I am really amazed to see that you are looking for the individuals who published it. To be frank with you, the Eritrean covenant document is not about individuals or its not a voice one individual, but it s an honest and vital document presented by Mejlis Ibrahim Mukhtar and it is the voice of the many to achieve unity, mutual respect and harmony among the major sect of the Eritrean people. Again you had pointed out that” their counterparts may also come with their own prescription.” but they didn’t . if its you who will come with their own prescription, then you are welcome to initiate the discussion. One important observation I could take is that The Muslims of Eritrea opened their heart and put their views on a document for you and your likes to know and understand their counterparts. but denying it as it is not real document won’t serve your mission and your struggle. if you have a valid issue against the Covenant, please move forward and raise your issues. and I am sure that the Eritrean covenant will ultimately respond to you. No body is free of his tendency and side. I love my tribe and my religion as everybody do. The only thing we all should learn is no one is there without the other and our enemies has exploited the love we have to our sided mind. After not 10 but more than 50 years of complicated struggle, we have come to the point where we understand that we have been heading against our will and interest. we have reached to the point where we should agree we are different under the same needs. we have come out of gossip (to borrow from My intelligent brother Gadi) that was exaggerated ( like the chines type of gossip that let the poor owner to be killer of his cook.HAAAA) very much from time to time. I sure there were stories told our of truth and created more narrow minded generation. if we don’t get advantage of anything we should not talk about it. If PFDJ is still dominated by highlanders, but highlanders are suffering even more than law landers the quantity of high landers in PFDJ didn’t serve and cannot be counted as majority. Again if there are law landers serving PFDJ and getting advantage out of the dance they perform to make happy PIA there is nothing to talk about if the opposing is more from law landers. not only that if the high landers are facing PFDJ equal to law landers then the estimated statistics will do nothing except to let PFDJ use it. Totoday we have gone through congress to reconcile and come under one master. we are so strong we even have enough strength to create better one if found to be useless. because we have reached to the level of handling common ground and no party or individual can play with us. so why come back to years to talk about highland and law land arguments ? in that “we are better than you’ or “them and we” type…it is better to remember once again What Aklilu (glass house)said to us. It seems you hate that word my be it is smerrrr or what about UNITE. Now I hope you will not ask me with whom and against whom. It is healthy article. Transparancy is what is need, but should be with the aim of the well being of Eritrea and all Eritreans equally. If we don’t expose what is ailing us, we’ll definitely not find an effective cure and therefore any such article should be encouraged and writers should not be second guessed. You started your article with we have been defending our minorities then you spoke about your looking with prospective their grievances to get solutions to their predicaments and later shifted, all this in the introduction paragraph, to ” We were doing it, even when our Muslim brothers were labeling us based on their taste left and right for over ten years.” My question is: Who are these minorities, Mr. Amanuel? Merhaba Amanuel, I am one of the silent readers, who follows your contribution and others to awwate and appritiate that.Thank you. As Soir sid “United we stand,divided we fall” also as you have said it in your article “We need each other. We can’t live one without the other”. I like it and you said it all, please continue on writing to the commen cause we all have. this is the politics of you people on the so called OPPOSITION, the WE and THEM categorization . Mr hidrat with all due respect to you, you do not represent or you can’t speak on behalf of those you say WE and you can’t define those THEM the way you want/think, in fact those who write here according to you THEM do not represent except themselves. i have never come across any study made and released by any national or international authority in this regard, all what i read or hear is assumptions of individuals who are mostly in far away places from the people they claim to represent. Whom do represent Amanuel’s ‘We’ and ‘Them’, in other words, Who is the real representative of Eritreans inside Eritrea and when did they held that election? Will you please explain so that those who are far away from Eritrea could understand well? If this question concerns Mr. Hidrat I would have addressed it to him, but as far I know Mr. Hidrat and I are under the elected body of ENCDE, at least we consider this is an elected body that represents mostly all the composition of the Eritrean people. Here I am speaking about a body elected from a congress. Now to come back again to my question and put it to you in a more direct way: Is Isaias mandated by the people of Eritrea? If your answer is yes, then who elected him to be a president of Eritrea for life? If your answer is negative then we should all stand by the side of the opposition and stand against the illegitimate ruler and his party which is more applicable to call them his servants because parties convene a regular congress and come out with new leadership and resolutions and recommendations. Help me in asking to Sara, where and when in her camp can she hear truth the way Amanuel our awate say it. who knows she may know the difference. one should see the reality from open mind and examine things. here we love each other but there they hate and afraid each other. her we fight for the PFDJ died body’s right even there they can’t say word for the right of an alive man who is kidnapped. here we plan for peaceful new country there they are in the past for revenge. We democracy there they work for mafia. there is no way to make comparison. PFDJ supporters keep in telling us that we are far not in the country. this is a challenge every supporter in diaspora is having his children happy enjoying his life. we are the mass and we are everywhere including in the intestine of PFDJ. all the people who are suffering are ours. we are part of the people but we don’t depend in individual or politicl party and we still believe what we are doing is just a duty and nothig else. everything is for our people and our people are important than anything else. National freedom is nothing if not for our people, nation building slogan is nothing when generation is killed, nothing has meaning without the mass. Yes Amanuel, we need each other,responsibility is on our shoulders and no one of us should regret like the once who lost their time and dignity for temporary fame and wealth (they didn’t enjoy that even). Amanuel, that is your level, you are higher than you imagine. you are more bigger than you think we see you. Amanuel, this Article was easy to understand simple to digest and to the point. thank you.